While Google is a great tool for finding new customers, local companies have to be careful with how they engage with it. It’s all about the right exposure and – when SEO is concerned – great lengths are undertaken to ensure only those within range of your company are being targeted by your campaign. Fortunately, some recent changes in Google Maps may be making this a much easier possibility, at least as far as PPC adverts are concerned. These new developments have the potential to let localised businesses sell their services to the right people. After all, if you’re a florist in London, then reaching out to people in New York isn’t what you want, right? In the last few days, Google silently started including paid adverts (from their AdWords system) into Google Maps. Previously this wasn’t the case, so someone looking at maps within your area wouldn’t have anyway of seeing your advert, unless he or she went back to regular search pages (with a relevant search term). Why is this important? Now, people have a chance to see you while looking at local listings. Many users choose to use google maps to search for firms within reach. While your business won’t get a pin on the map just because of the paid advert, it does one important thing: it shows customers just how reachable you are. Why else would you appear on their targeted, area-specific search? So far, this seems to occur when people use the local findings page, are given the typical 3-pack listing, and click for “more listings”. While this is all we know, it certainly offers some interesting opportunities. The 3-pack pages only give users an immediate 3 listings (it use to be 7), so the potential to get your advert in this “more listings” space is worth noting – many users will click through for more than 3 options, but if you’re not on the first or second page, how many people will see you? This has always been the general rule of SEO and now it applies to Maps, too. Of course, for this to work Google needs to know that your company is local. 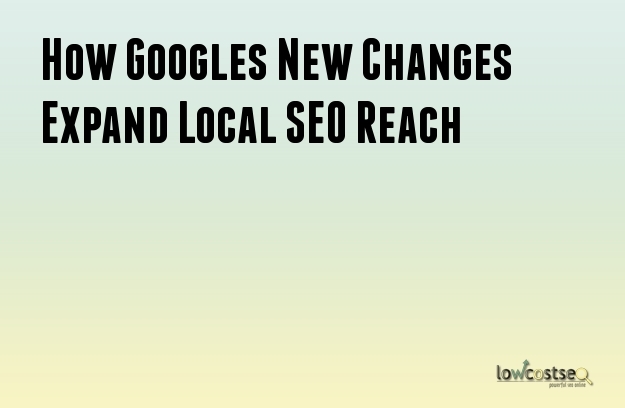 Since it’s an AdWords feature, local extensions can easily be implemented. Most local businesses already have this information in place and this is just an extra use. As for large companies with a store in every city? That would require significant work to include extensions for every store, which ensures the big corporations can’t just muscle in on this potential SEO and marketing space. Search Partners has not been well receivedby everyone, so the option to opt-out and still retain this valuable tool is a fantastic option for local companies trying to increase exposure. Using Google Maps may very well improve both click rates and impressions, as the advert is targeted on area-specific searches and not on other external sites, which Search Partners offers little control over. Regular text adverts will also not be featured. If you have an AdWords campaign set up with local extensions, this means there’s less competition in this area of advertising. Of course, right now, how effective these changes will be remains to be seen. It also entirely depends on user search habits, the nature of your company and how effective you are compared to your competitors. We offer services on all things SEOand PPCrelated here at Lowcostseo, so we know that the right keywords and search terminology are always essential.